[Update 6-19-14]Just heard the sad news that one of the Brill Building's great has just passed away. According to The AP: "Gerry Goffin, a prolific and multi-dimensional lyricist who with his then-wife and songwriting partner Carole King wrote such hits as "Will You Love Me Tomorrow," ''(You Make Me Feel Like) A Natural Woman," ''Up on the Roof" and "The Loco-Motion," died early Thursday at his home in Los Angeles. He was 75." 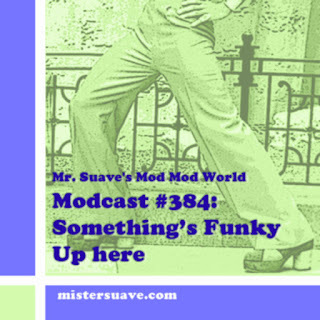 It's been eight crazy years I've been producing the modcasts. When I started the show was pretty basic and the focus was on the music. The show is still pretty basic and the focus is still on the music. It seemed fitting to celebrate the eighth anniversary with a stroll through a musical treasure trove. The Brill Building. The Brill building is a big old art-deco thing that has one of the greatest music stories you could imagine. From the 1930s on the Brill Building has been at the center of American music; home to producers, writers, publishers, and musicians who all work and collaborate together. The Brill launched the careers of the likes of Burt Bacharach, Paul Simon, Sonny Bono, Carol King, Neil Diamond, Paul Anka and many more. The Brill sound was made famous by Dionne Warwick, Lesley Gore, The Monkees, Frank Sinatra, Sonny & Cher, and many more. 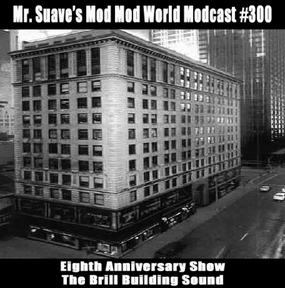 So, it seemed like as good a time as any to finally pay tribute to the Brill Building Sound.